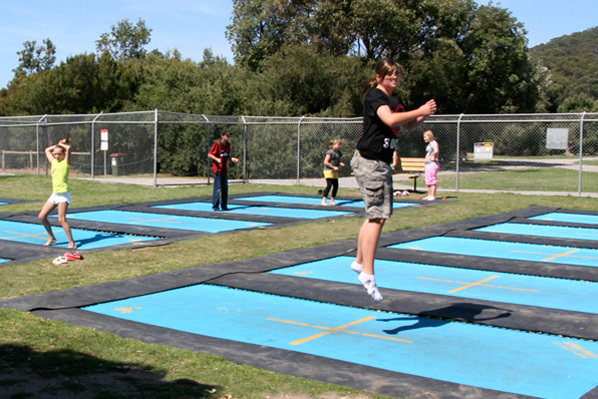 Many consider In-ground trampolines as the best and safest option in trampolining. They are the option we recommend in most situations. They also make it easier for everyone to enjoy a quick bounce to get energised and happy. As our Olympic standard trampolines do not need a safety net, they also blend in better in an attractive garden. They also make it easy for everyone to learn safe bouncing techniques. NOTE: With some minor modifications these trampolines can transform and be installed as in-ground trampolines. Whichever type of trampoline suits your needs, all our trampolines are guaranteed and built to last. Choose in-ground or above ground, select the size, and our trampolines’ quality and performance will create the magic you want fo0r your family. Did you know that you will get the same trampoline performance as you enjoy at commercial trampoline parks such as BounceInc? That’s true, that is the quality and performance of all our trampolines. Note: In-ground trampoline Installation normally takes between 2-4 days depending on soil texture and location. © 2018 Mr Trampoline. All Rights Reserved.